“It’s a combination of people involved with their own businesses out here as well as people involved in public agencies,” he said. The board includes past president Michelle Wilson of KUB, vice president Joe Pratt of Enrichment Federal Credit Union, secretary Jay Wormsley of Halls Middle School, treasurer and CPA David Buckner, Patrick Abbott of Home Federal Bank, Darren Cardwell of Hallsdale Powell Utility District, Mike Conley of Pioneer Heating and Air Conditioning, Denise Girard of First Century Bank, Ben Johnson of Bob Johnson Insurance, Sue Walker of Tindell’s Inc., Jimmy Wright of Knox County Sheriff’s Office, and Travis Woody of Food City. The combination brings a lot of expertise to the table, expertise that is helping the HBPA put the finishing touches on a slate of projects. First up is a campaign for streetlights on Maynardville Highway from Afton Drive to Emory Road. The streetlights have been promised, and Hubbs is looking for them to go in the ground soon. Another project is beautification at Afton Drive and Maynardville Highway, which Cardwell’s experience with TDOT projects has helped boost. The board has a landscaping plan in place and is working through the TDOT approval process. When the time is right, HPUD will donate labor to complete the project, which includes a red and white “H,” knockout roses, crepe myrtles and sweetgum trees. Cardwell said he hopes to see the project complete by fall 2018. The board is also looking into revamping “Welcome to Halls” signage north and south of Halls on Maynardville Highway and along Emory Road. Hubbs said it’s all about putting visible assets into the community. It enhances the community and can grow membership in the HBPA. “Those are the projects that businesses want to join in and be part of,” he said. Even though his background is in law enforcement, Hubbs brings business acumen to the table in his new role. 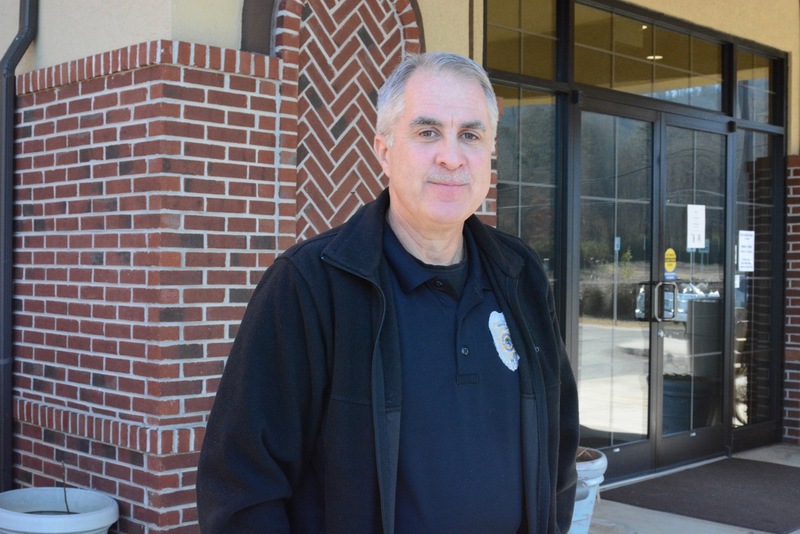 He served in Knoxville Police Department for 30 years, eventually retiring as a lieutenant. In that time, he was the lieutenant over Knoxville’s central business district, right around the time that downtown Knoxville was transforming from no-man’s-land to a thriving destination. Getting streetlights repaired or placed, addressing dirty or derelict properties, even helping replace a homeless camp with a dog park, all helped move downtown Knoxville to its current state. “That’s what we worked on as a police department, helping to make it a viable place to put a business or live there,” he said. With Knox County Sheriff’s Office, Hubbs is in charge of crime analysis, running the crime mapping website and more. He came onto the HBPA board after Bobby Horner’s resignation, making him the next in a succession of Sheriff’s Office representatives on the board. While he makes his home in Norris, over the years he’s come to feel more and more at home in Halls. Hubbs said he sees several challenges facing Halls, including infrastructure issues. Walkability is an issue as greenways and sidewalks seek connections. He’d like to see Halls with the same amenities as other parts of Knox County. The next membership meeting will be held at noon Tuesday, Jan. 16, at Beaver Brook Country Club. Lunch is $10, and Knox County Mayor Tim Burchett will be the speaker.